A couple of months ago, I spun some yarn for my friend Helen. The yarn was an odd weight, sorta-bulky and sorta-aran, and I thought she might have some trouble finding a pattern for it. So, I wrote one up! 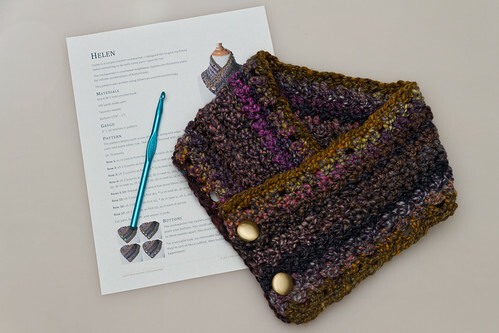 This neckwarmer is edged in eyelets, which can be used for any arrangement of buttonholes. The body is simple alternating single and double crochet stitches. 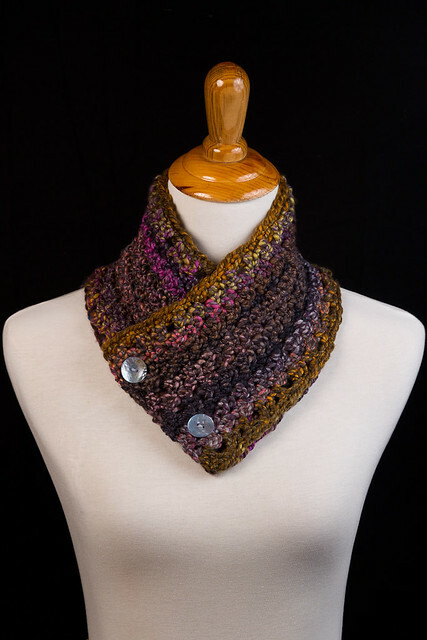 It was designed with handspun yarn in mind, but also looks striking with commercial self-striping yarn. 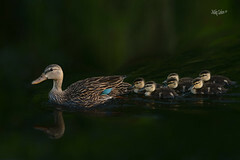 The pattern is available here in PDF format. Enjoy! Warning: this post isn’t very exciting. 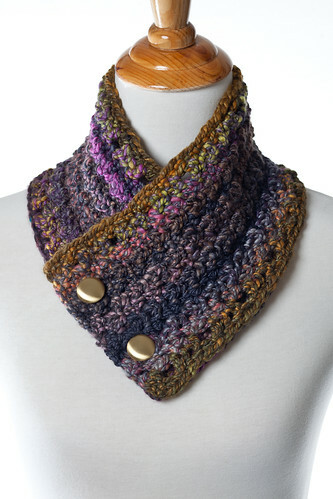 This week I wrote the pattern for the neckwarmer I made last week. I made some minor tweaks to resize it, but I think it’s going to be pretty close. It’s not quite ready to publish yet; I want to test it out first, so I have nothing to show you this week. You’ll just have to take my word for it! 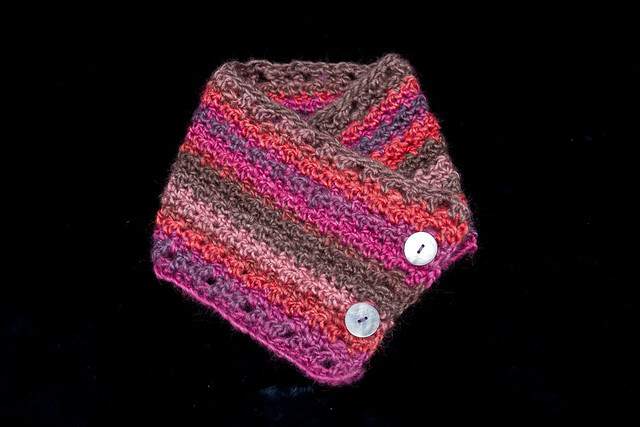 It’s crochet, and this prototype was made with Patons Soy Wool Stripes. This is an example of a thing-a-week that isn’t quite right… I got the overall stitch pattern I wanted, but I didn’t make it long enough, so the neck opening is too small. That’s ok, though. I’ll write up the pattern and give it another try, which should give me at least two more things-a-week to do!